There are an increasing number of motorhomes on the road. Yescapa conveys a collaborative consumption approach: we put the owners who wish to monetise their vehicle in contact with people who would like to go on holiday in an inexpensive motorhome. If you want to really enjoy your self-drive touring holidays, hiring a motorhome is the most affordable solution to do it in good conditions and in an autonomous way. 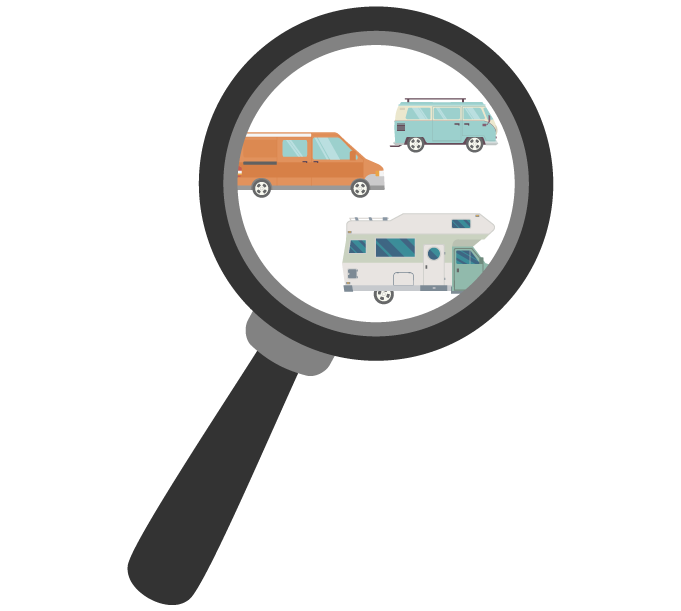 With more than 4,830 campervans and motorhomes and a choice of 28 criteria and filters at your disposal, finding the perfect motorhome has never been that easy. You want to book for next weekend? No need to plan ahead, we only need 48 hours, the choice is yours! hire a motorhome or campervan locally or abroad! Choose the perfect leisure vehicle from Europe's largest fleet. find your perfect vehicle for your next adventure! With Yescapa.com, you can rent motorhomes between individuals for great value. Its friendly appearance and small size allows you to go where you want. The converted van is a universal vehicle: the perfect mix of homeliness and mobility. Discrete and manageable, the converted van is halfway between a van and a motorhome. It's the perfect compromise between quality, comfort and suitable vehicle dimensions. More than 4,830 motorhome owners are waiting for you to rent their vehicle!